Every girl wants to look her best doesn’t she? When we talk about hairstyles, there are dime a dozen to choose from! One thing that we tend to give a miss is that in order to look good, you need to put in that extra effort while styling your hair. Now the question that pops up is, “Do you have the time and patience?” If ‘NO’, then we don’t fret because we have a number of lazy girl hacks that would make your look equally adorable! Girls of today’s generation want to put their best foot forward without wasting too much of time. Some hairstyles are pretty time consuming and get into a lot of detailing. Therefore the clever way is to choose hairdos that save time and are just right for those who feel lethargic to try on intricate styles. Are you one of those who tend to get lazy when it comes to styling your hair and yet want to look out of this world? Well, relax because the fashion world can never seize when it comes to novel hairstyles. Let us have a look at some amazing lazy girl hairstyles that will leave you awe-struck! 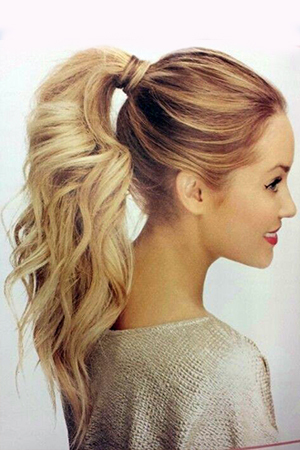 This is an excellent lazy girl hairdo that would instantly make you look glamorous! The simple twist on the crown area moving right back is so easy to try out. Just pin it up and leave those glossy locks falling over your shoulders. 2. 20 Second Up-do Bun: You would love this one! You just need to flaunt a more casual bun. The technique is so easy, you split your hair into two halves, then knot it, twist it and finally pin the hair up. There you are! You have a lovely low messy bun in no time. Now this one is definitely a favorite of many young girls. 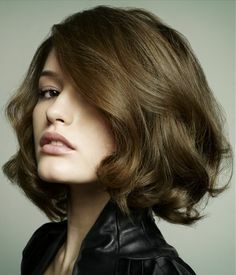 The soft curls look so feminine and are very easy to try out too. All that you need is a simple ponytail and a curler to curl the ends of the hair. Who doesn’t want high ponytails? The technique is simple! All you need is two booby pins to hold the ponytail high up. It looks stylish. You can’t go wrong with braids! 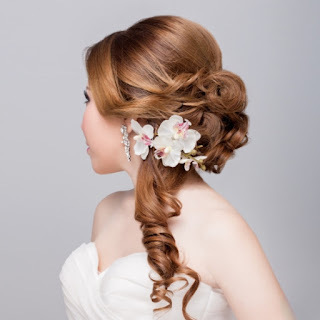 The flower braid looks pretty and easy to do at same time. 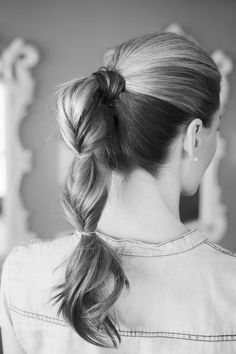 A cute little braid using three sections is all that you need to do. You can try this look out with your friends out and I’m sure they would be envious! How about a quick twist to your hair and pin it up into a high bun? This hairstyle suits the ones who are still novices in doing up their hair. These messy or untidy buns are an all time favorite among the younger lot. Are you in a hurry and don’t know what to do with your hair? Look no further! We have a great hairstyle that will definitely transform your look in no time. The soft curls can be acquired by just tying up your hair in a ponytail. Use your curling wand wrapping the lower portion of your hair and let the magic begin. You are ready for a party! Now this one is a one to die for! By just twisting the two sides of your hair and pinning them at the back of your head will give you an absolutely classy look. All you lazy girls out there do try this hairdo which will take you back into the Victorian era. This is yet another cute hairstyle that would suit any age. Girls would love this look due to the fact this it just takes about a minute or two to make. Just two knots done by dividing the hair into two sections is all that is required. How simple is this one! A quick twirl with your fingers and securing it with a fancy pin is all that it takes to acquire this fantastic look. It takes just a few seconds and yet looks chic. How about trying out this look? By the end of the day, it not how much time you spend on your hair but how different and stylish you look is all that counts! I’ m sure some of these hairstyles mentioned above would make heads turn. Flaunt a new look each day with these quick and easy hairdos. The best part about the lazy girl hairstyle hacks is that they don’t require too many attachments. A comb, some bobby pins and some rubber bands is what you need. Isn’t that easy? So what are you waiting for? Go ahead and play out with these hairstyles!